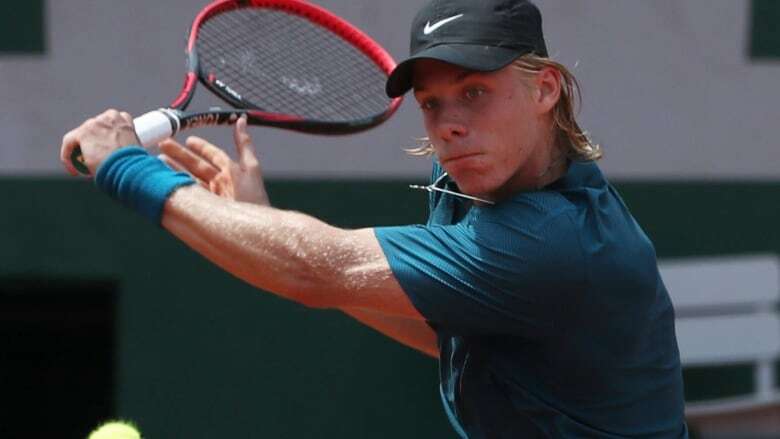 Third-seeded Canadian Denis Shapovalov progressed to the quarter-finals of the Eastbourne International on Wednesday after the teenager hit 11 aces to beat Jared Donaldson of the United States 6-4, 4-6, 6-2. The Richmond Hill, Ont., native will play Germany's Mischa Zverev on Thursday. Meanwhile, Andy Murray remains well below his best with Wimbledon less than a week away. The 31-year-old Scot lost 6-4, 6-4 to second-seeded Kyle Edmund in an all-British clash in the second round. "Beating Andy is a bit strange, he's always been my idol, and then I've got to know him well over the years," Edmund said. "He's always given me advice and I've looked up to him. "It's something I've never experienced before, to beat someone who you've really looked up to like I have with Andy." The quarter-finals will pit Edmund against Kazahkstan's Mikhail Kukushkin, who saved seven break points to beat sixth-seeded David Ferrer 6-2, 6-0. In the women's draw, top-seeded Caroline Wozniacki reached the quarter-finals by beating Johanna Konta 4-6, 6-1, 6-3. Fourth-seeded Angelique Kerber of Germany beat Danielle Collins of the United States 6-1, 6-1 to set up a quarter-final meeting against seventh-seeded Russian Daria Kasatkina. Third-seeded Petra Kvitova pulled out with a hamstring injury before her third-round match against Agnieszka Radwanska. The Polish player next meets fifth-seeded Jelena Ostapenko after the Estonian dismissed Mihaela Buzarnescu 6-1, 6-2.